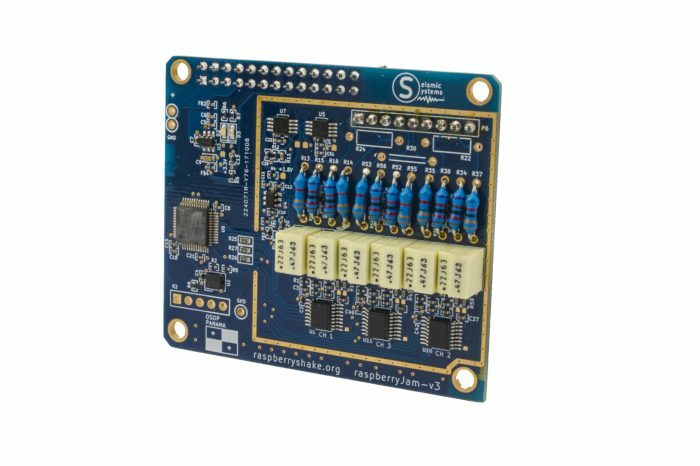 Universal Digitizer Board – Just Add Sensors! Universal digitizer for use with broadband and short-period seismometers and infrasound sensors. The Raspberry Jam is the latest addition to the Raspberry Shake product portfolio – A powerful universal digitizer compatible with most seismometers and infrasound sensors such as the Trillium Compact, S-13 or L-4C (for full details, supported sensors and technical specifications please see here). We have had many enquires over the years for a device that allows scientists and hobbyists to use their own sensors. Now you can with the Raspberry Jam. It is ideal for geophysical institutes and seismology hobbyists alike. With the Raspberry Jam, you can add a variety of sensors from short-period to broadband seismometers and infrasound sensors. Passive and active sensors are supported. The Jam can be configured for passive or active sensors. This can be accomplished by changing some resistor values. To simplify the setup process for you, you can have us mount the resistors for you, by adding this service to your cart. 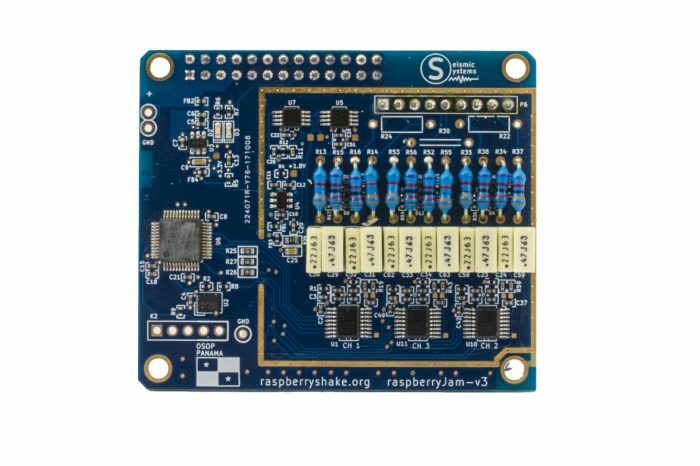 The circuit board of the Raspberry Jam incorporates three 24 bit (144 dB) digitizers, each sampling the Earth’s motion at 100 samples per second. In addition, the digitizer has a data transmission rate of four packets per second, making it Earthquake Early Warning compatible. For full specifications please see here. This product listing is our DIY solution and comes only with the Raspberry Jam Universal Digitizer board. You can use your own Raspberry Pi computer. 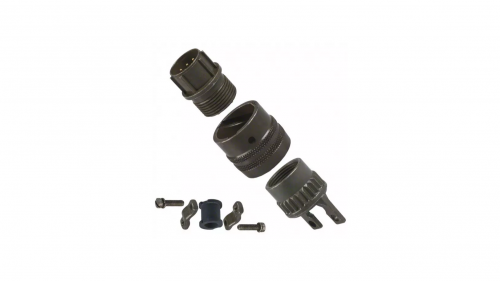 Supported models include the 3 Model B, 3 Model B+, 2 Model B, and Model B+. All users must adhere to the Raspberry Shake license agreement. Warranty The R Jam Digitizer Board comes with a one year guarantee. Full details. Shipping All products are shipped by INCOTERM DAP. The buyer assumes all responsibility for import duties and taxes. Shipping Terms. Please note the resistors and capacitors shown in the photo are not included. However, we can customize the Raspberry Jam for your specific sensor with the purchase of this option.